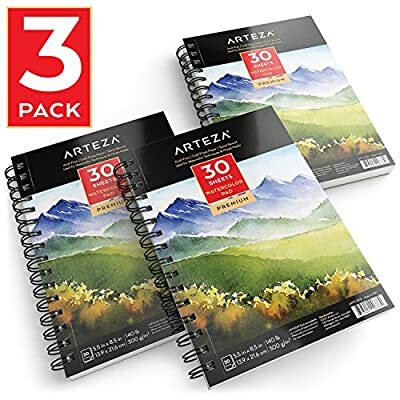 Value 3-Pack: Many watercolor sketchbooks offer just 12 sheets max. But your Arteza set gives you two 5.5"X8.5" pads - 90 sheets in all - so you can play with techniques & effects to your heart's content. 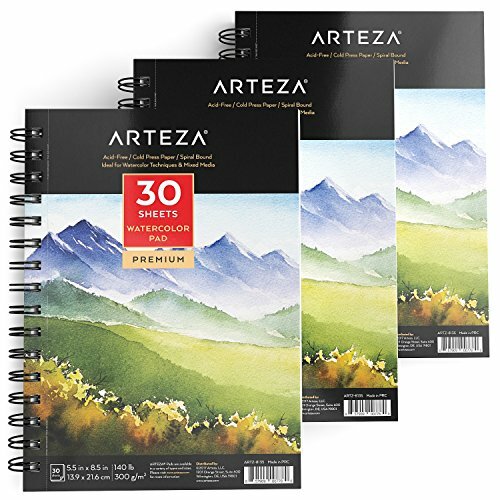 Value 3-Pack: Many watercolor sketchbooks offer just 12 sheets max. But your Arteza set gives you two 5.5"X8.5" pads - 90 sheets in all - so you can play with techniques & effects to your heart's content. 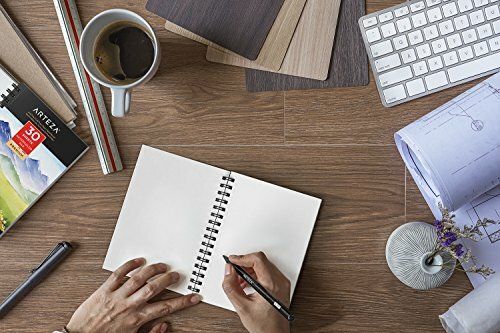 Premium Paper, Affordably Priced: Why spend a fortune? 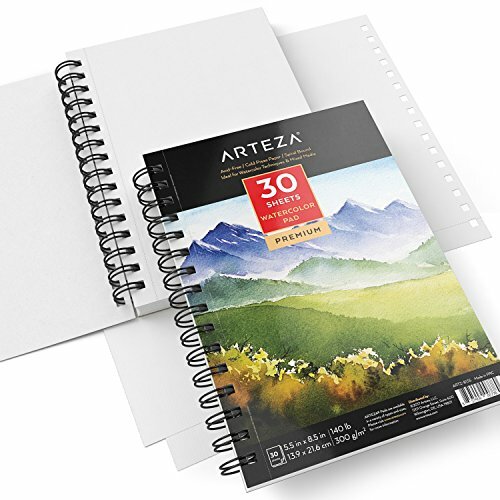 Your Arteza watercolor paper is thicker & heavier (140 lb./300gsm), so it can stand up to multiple washes without warping or bleeding through. Just-Right Texture: Not too rough. Not too smooth. 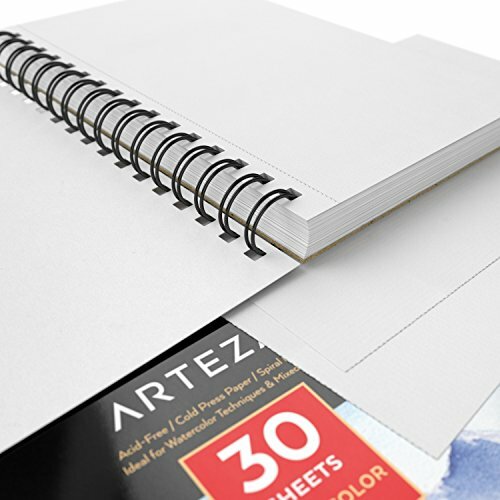 Your Arteza painting paper has a cold-pressed surface - slightly textured or "toothy" - so it's ideal for large, even washes & for finer detail, too. No More Fading: Concerned that your artwork might deteriorate over time? No worries. 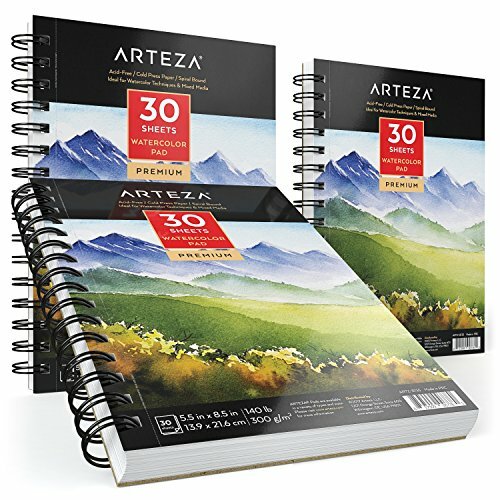 Each Arteza drawing pad is 100% acid-free, so colors stay rich & vibrant. Perfect for most wet & dry media. Satisfaction Guaranteed: We're sure you'll love your 3 durable, glue-bound sketch pads, with their easy-to-tear pages. But if you have problems, just let us know & we'll send you a free replacement.